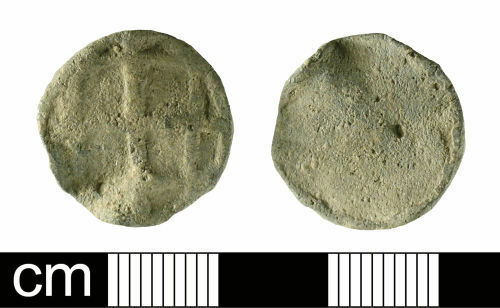 A cast lead token of Medieval to post-Medieval date. The uniface token is circular in plan. The upper surface bears a relief-moulded cross crosslet which extends to the edges of the flan. The token is bent and corroded. It measures 17.9mm in diameter, 1.1mm thick and weighs 2.61g.